In 2003, the devastating Canberra bushfires tore through and destroyed large areas of land that were occupied by pine plantations. Today, this land now features some 94 forests of rare, symbolic and endangered trees from Australia and around the world, including two forests that are over 100 years old and that miraculously survived the bushfires. 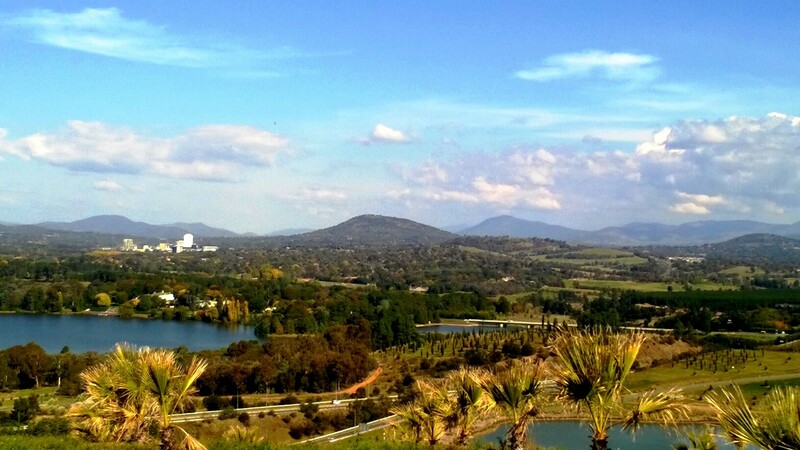 Welcome to the National Arboretum Canberra. An arboretum is a botanical garden devoted to growing trees for conservation, scientific research and educational purposes. With this in mind, the trees at the National Arboretum Canberra have been carefully selected by an expert panel for their conservation status, symbolic nature, aesthetic value and suitability for the site and climate. The average size of each forest is 2 hectares (5 acres) and most consist of a single species of tree, or two species where a host forest is planted in conjunction with a rare or endangered species. 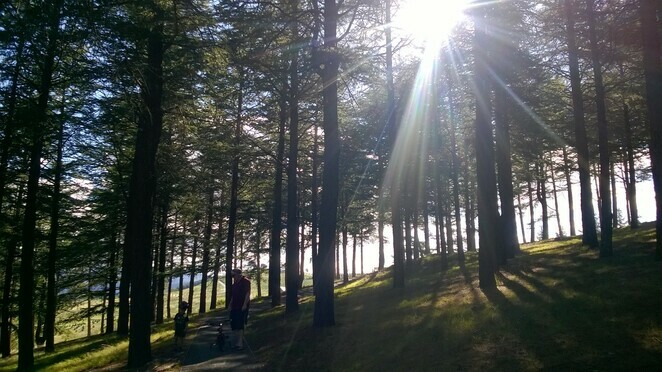 Currently, there are over 44,000 trees from over 100 countries growing across the huge 250 hectare (618 acre) site, making our National Arboretum one of the world's largest living collections of rare, endangered and significant trees. 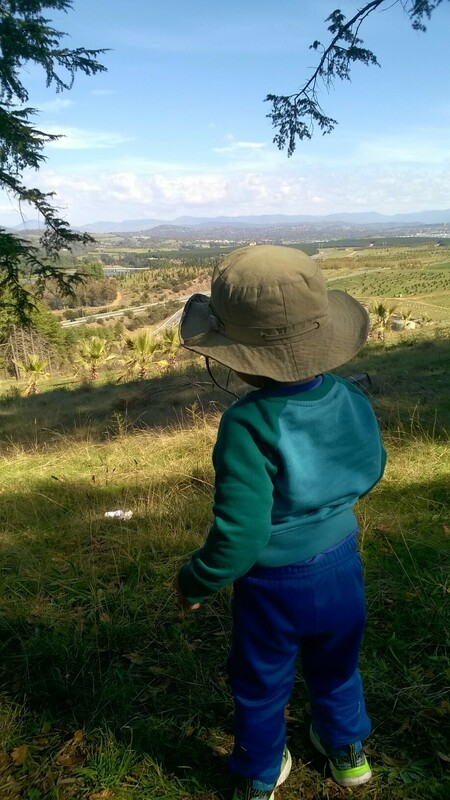 Highlights of the National Arboretum Canberra. The National Arboretum has become a popular destination for both locals and tourists alike. It's certainly one of my favourite places to visit in the Bush Capital. If you haven't been to the National Arboretum yet or your last visit was some time ago, here are ten reasons why you should go. 1. The Himalayan Cedar Forest. 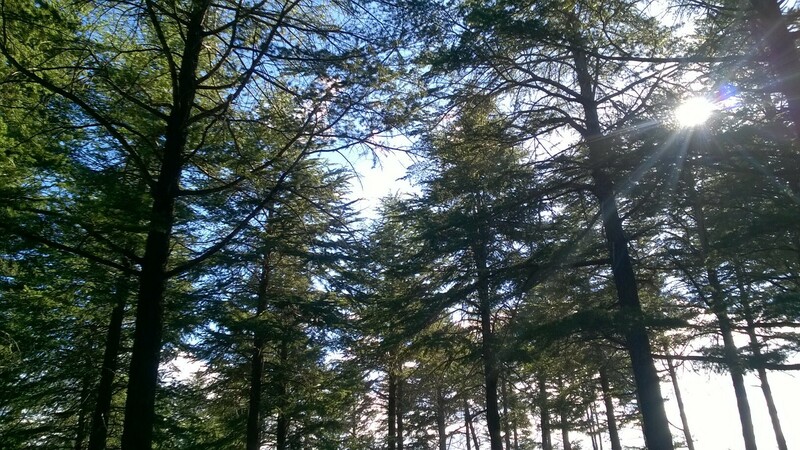 These majestic trees, native to countries such as Afghanistan, Pakistan, India, West Nepal and Tibet, were first planted in 1917, making this forest one of the oldest at the Arboretum. Take a stroll or enjoy a picnic or BBQ under the trees. There are walking trails, a wooden deck with picnic tables and BBQ, toilets, and a lookout with spectacular views. 2. The Cork Oak Plantation. The Cork Oak Plantation was also first planted on its present site in 1917. It has a special place in Canberra's history, as many of the cork oaks in the forest were grown from acorns provided by Walter Burley Griffin, the architect of Canberra. 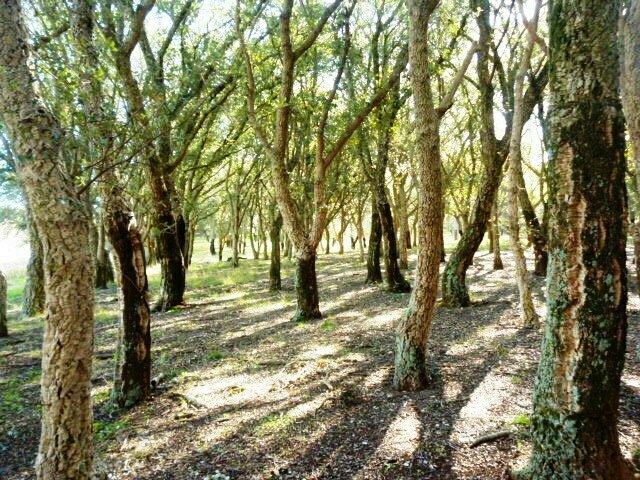 The Cork Oak Forest is also a wonderful place for walks and picnics. Read more about the Cork Oaks of the Arboretum here. 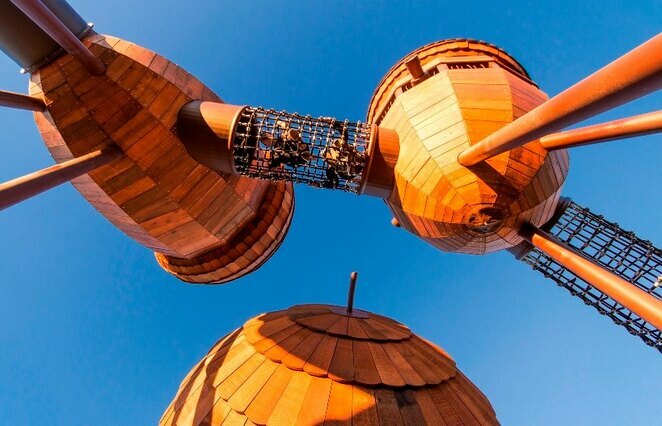 This amazing playground encourages children to climb, explore and have fun. Its features include giant acorn cubbies, nest swings, banksia pods, slippery slides, net tunnels, a large climbing net frame, musical instruments, and a musical bridge. The Pod Playground suits a variety of ages, including an area that's just perfect for toddlers. 4. The National Bonsai and Penjing Collection. 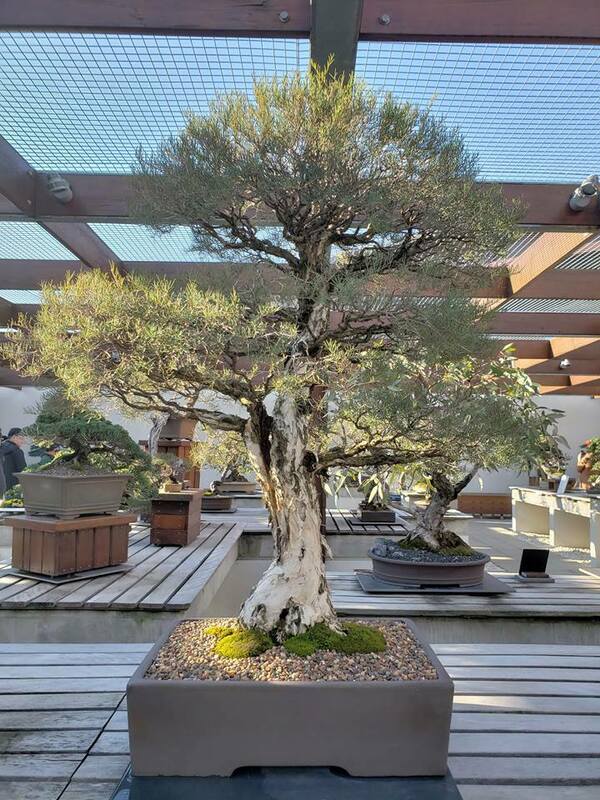 The Arboretum's collection features some of the finest miniature trees and forests in the world, created by some of Australia's leading bonsai and penjing artists. About 80 bonsai and penjing trees and forests are usually on display, with both Australian native and exotic trees. You will also find a 165 million year old petrified tree stump on display, kindly donated by the National Dinosaur Museum. 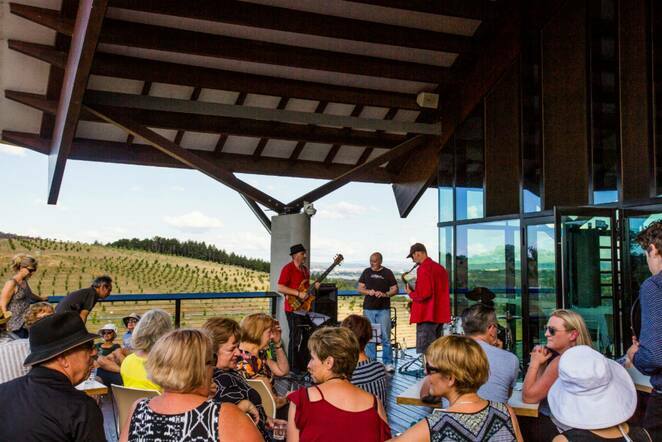 The award-winning, architect-designed Village Centre with its spectacular, panoramic views over Canberra offers a range of services and facilities including an information hub, The Curatoreum gift shop, Sprout café, Conservatory restaurant, toilet facilities, and the National Bonsai and Penjing Collection. Guided walks and bus tours start from the Village Centre. The Village Centre also provides a unique and memorable venue for events such as conferences, weddings and birthday parties. This is a wonderful space for picnics and for the kids (and grown ups too!) 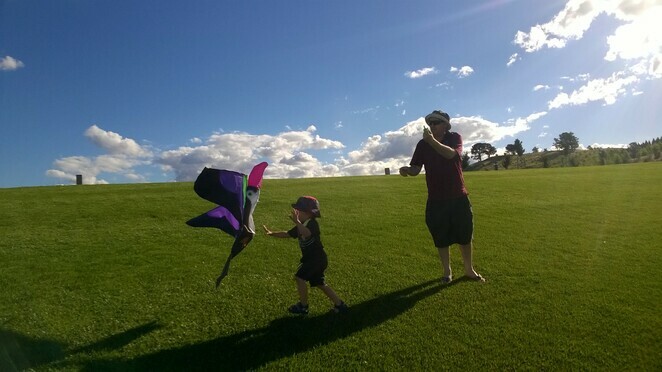 to have a play, run, fly their kites or just roll down! Several outdoor sculptures and artworks are dotted throughout the National Arboretum Canberra including the 'Wide Brown Land' sculpture by Marcus Tatton, Futago Design Studios and Chris Viney. This sculpture was inspired by poet Dorothea Mackellar's famous poem 'My Country'. 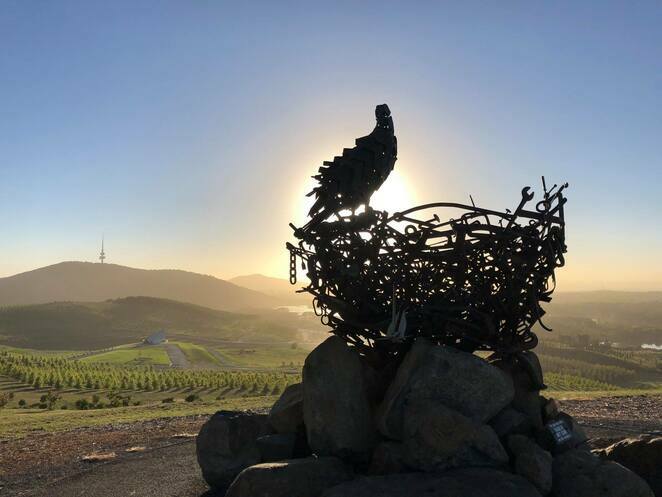 And this striking metal sculpture of a wedge-tailed eagle on its nest by Richard Moffatt. The National Arboretum Canberra features a collection of gardens for visitors to experience and enjoy. 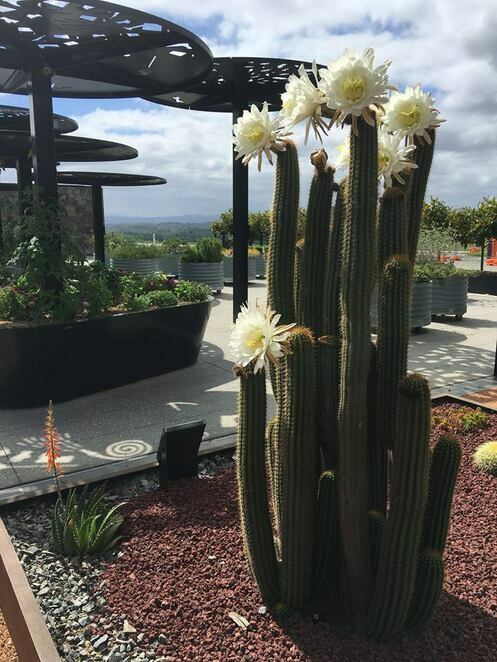 Such as the Canberra Discovery Garden which is a series of demonstration gardens showing visitors how to grow a beautiful, sustainable and water-efficient garden in any season. And then there's the Gallery of Gardens which is a mosaic of seven unique gardens currently being developed. Each garden has a unique design with a variety of trees, plants and landscape features. 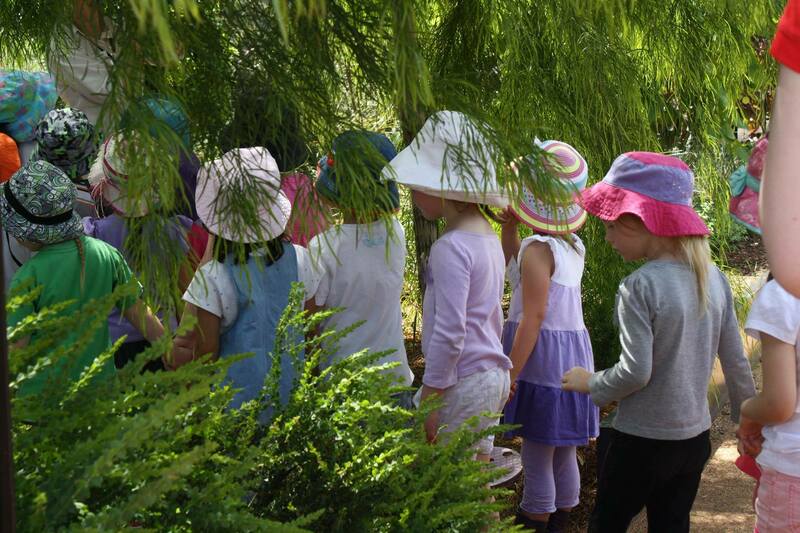 The Gallery of Gardens include the Children's Garden, the Labyrinth Garden, the Terra Australis Garden, Mununja the Butterfly Garden, the Gift of Life Garden, the AIDS Garden of reflection, and the Open Gardens Australia Celebration Garden. 9. Workshops and events and more. There's always something happening at the National Arboretum Canberra, including guided forest walks, guided bus tours, talks, bee workshops, harvest stalls, school holiday programs, and so much more. 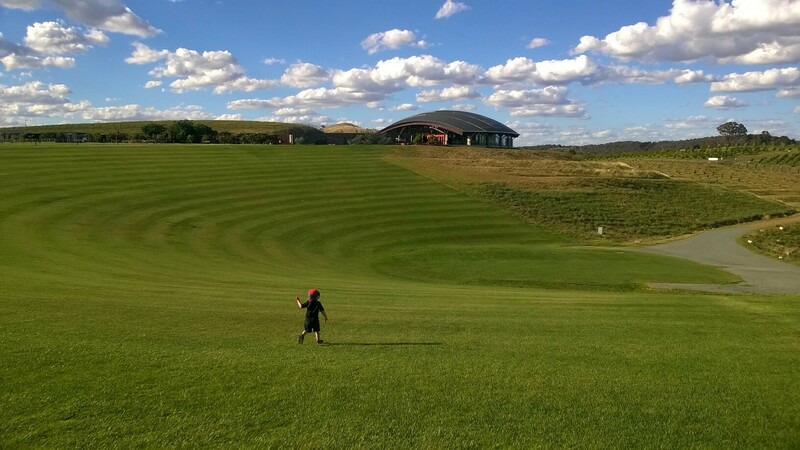 You can also celebrate your children's birthday party at the National Arboretum with a facilitated birthday party package. Details here. 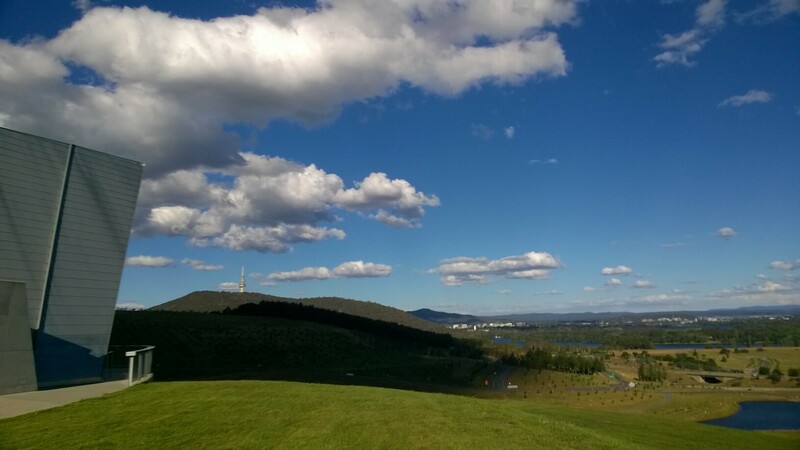 From almost anywhere at the National Arboretum, you will have breathtaking views over Canberra and beyond. The National Arboretum grounds (and Pod Playground) are open from 6am to 8:30pm seven days a week during Daylight Savings Time and from 7am to 5:30pm seven days a week during Eastern Standard Time (Non-daylight Savings Time). The Village Centre is open 9am-4pm seven days a week (closed on Christmas Day). Entry to the Arboretum is free-of-charge, however, pay parking applies from 9am until 4pm daily at the rate of $2.10 per hour with a maximum of $7.80 for one day. 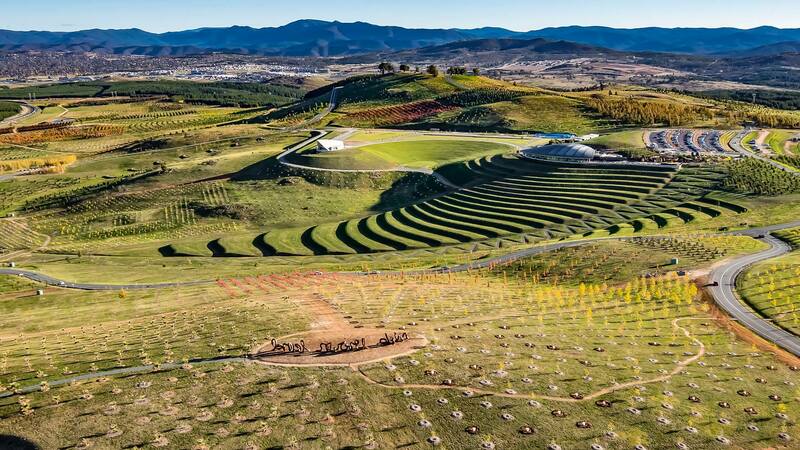 The National Arboretum Canberra is located at Forest Drive, off Tuggeranong Parkway, Weston Creek. For more information, please visit the National Arboretum webpage here. Why? Because you'll find majestic trees, breathtaking views of Canberra, lovely picnic spots, walking and cycling trails, the Pod Playground, the Village Centre, and so much more! When: The Arboretum grounds and Pod Playground are open from 6am to 8:30pm seven days a week during Daylight Savings Time and from 7am to 5:30pm seven days a week during Eastern Standard Time (Non-daylight Savings Time). 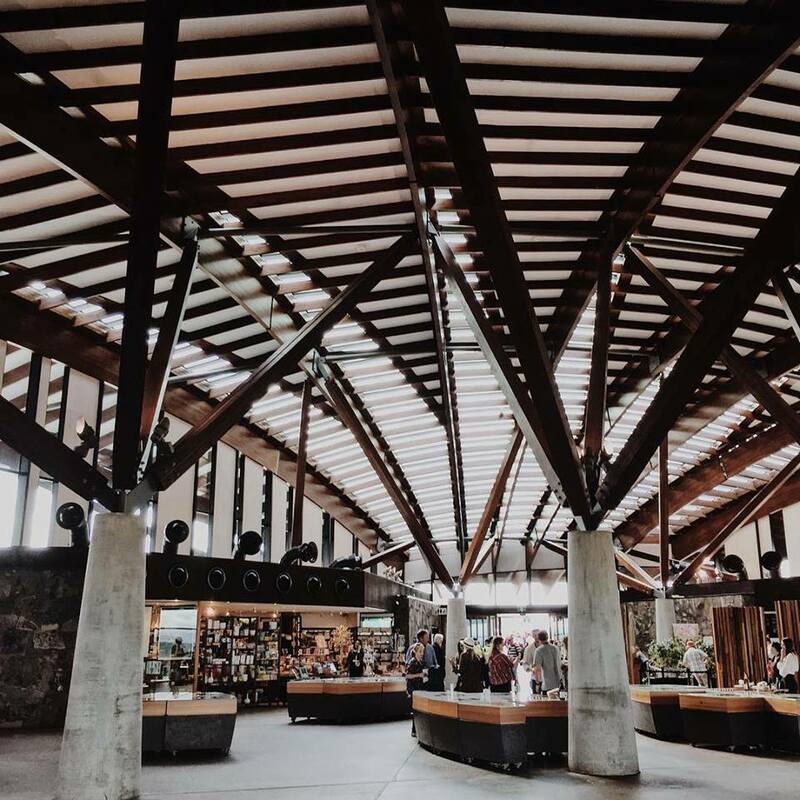 Cost: Entry to the Arboretum is free-of-charge, however, pay parking applies from 9am until 4pm daily at the rate of $2.10 per hour with a maximum of $7.80 for one day. Very informative and interesting article Belladonna. Have visited Canberra a few times but didn't know of the Arboretum. Neil.